How to Use Rate Locks to Get Lower Home Loan Rate? The legendary Doris Day sang ‘Que sera, sera’, meaning ‘whatever will be, will be’. This seems to be true for those who have experienced the home loan interest rates while searching for competitive offers. The interest rates are decided by the bank and there is no way to change that. But, what is in our control is to ensure the lowest possible rate that comes our way. A good credit score will certainly help in securing housing loans at the minimum rate. 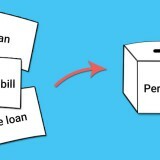 By increasing the amount towards ‘Down Payment’, you are sure to pay less as interest amount to the financier. A combination of both 1 and 2 mentioned above. Selecting a shorter loan period, where Rate Lock Commitment comes handy. ‘Rate Lock Commitment’ is like an assurance by the bank given to the customer. 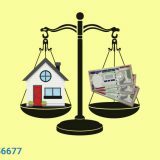 It is a written agreement between the bank and the customer specifying the home loan rate and the period for which the rate is locked. How Do Banks Work on Rate Lock Commitment? 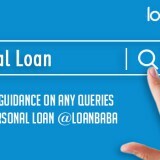 Looking at from the bank’s angle, rate lock commitment can be disastrous for them as their speculations can go awry due to the long gap between the date of deal and actual shelling out of the loan amount. It is like selecting a winner at the beginning of the season in a certain game of sports. The projection of utilising the services of the selected player may misfire, more so if the season is too long. Thus the banks normally offer rate locks in intervals of 15 days. You, as a customer have the option of going for a 15, 30, 45 or 60 days lock rate. The home loan rate is less for a shorter period as compared to a comparatively longer period of mortgage. Suppose you enter into a contract with a bank for a rate lock period of 48 days, the closing date falling on a Monday, and then a 60 day rate lock with an increase on the housing loan rates shall be offered by the bank. You also have the option of choosing the closing date one working day earlier, i.e. on a Friday. You can save on total outgo towards loan repayment when opting for a shorter period of 45 days. To maintain the mortgage rates to the least possible and to save your money, you need to act smarter in selecting the closing date. Please feel free to use home loan EMI calculator on our website to get the best quotation. Next story How to Make ROI Favourable for Business Loan Prospects?